Can I invite more people after I send the invite out? 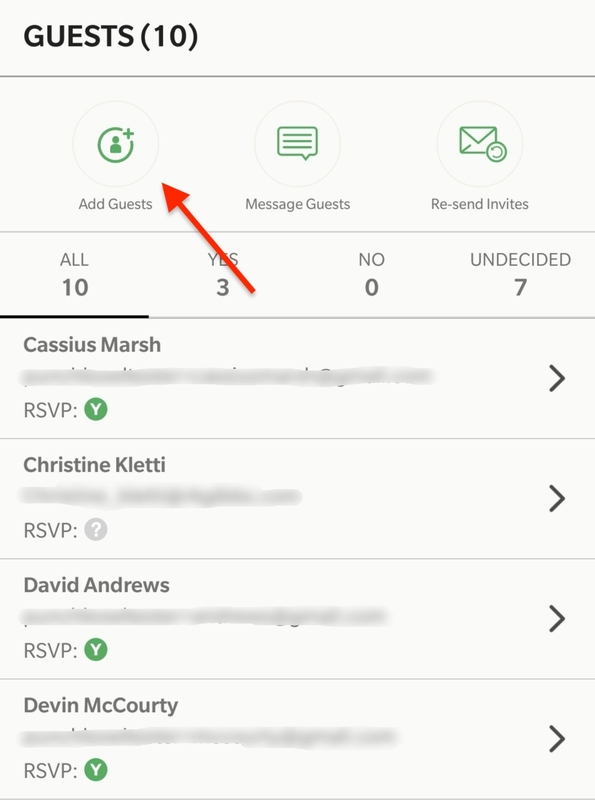 Yes, you'll be able to return to your invite any time after sending to invite more guests. To do this, first, click the Manage Invitation button to the right of the invitation on your dashboard. Then, on the next screen, click on the Add More Guests button. Here, you will be able to enter your guests' email addresses or phone numbers and then proceed to the Send page to send the invite out. You can read more on the different ways to add guests here. 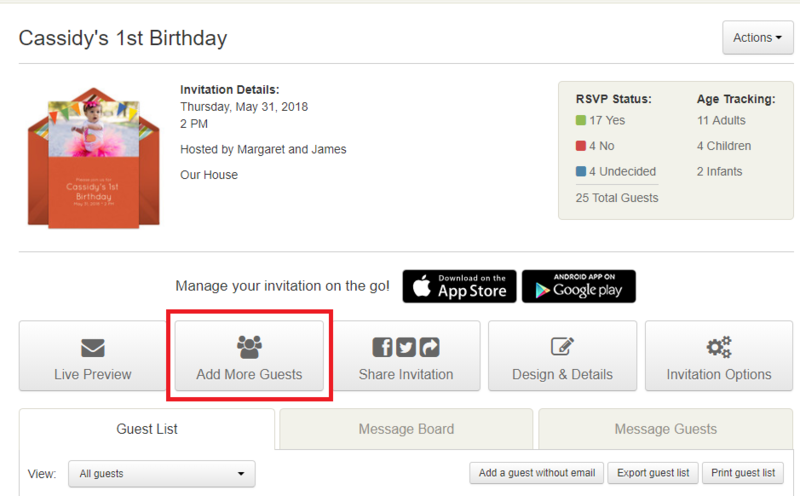 To invite more guests via the mobile app, first, tap on the My Invites tab and select your invitation. Next, tap on the Manage guests button and then the Add Guests button. From here, you will be able to enter the new guests' email addresses or phone numbers. When you are finished, tap on the green Continue button to proceed to the Review and Send page. Note: This will send the invitation just the newly added guests. It won't resend to guests who have already been sent the invitation.